Who doesn’t love playing games? Even as adults we indulge our childhood memories by playing pastime favourites. 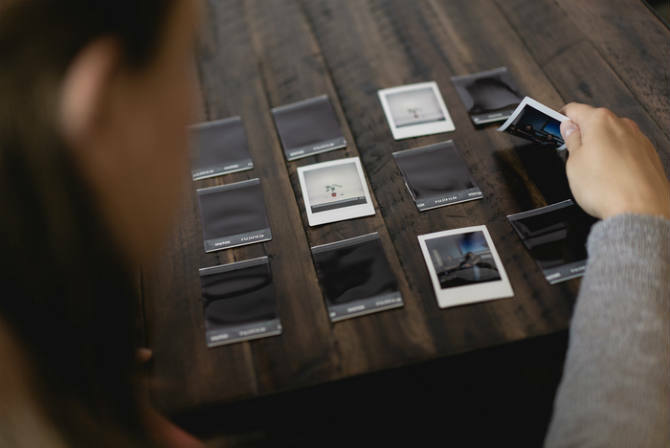 With your instax camera, you can bring those memories back to life and get creative for game night with these fun ideas for games with instax, part two! Choose your favourite instax photos and gather up your mates. Take turns choosing an item from the picture and having everyone guess what you’re looking at. Whoever guesses correctly gets to choose next. It’s just like old fashioned eye spy, but with a fun twist, as you and your friends can have a laugh and reminisce on the photos and your good times together! With a group of friends, take photos of items up close. Bring all the prints together and, once the film has developed, shuffle them and lay them face-down on the table. Take turns selecting a pic and guessing what the image in the picture is! If you guess right, choose again. If not, the next player gets a go at guessing! Play continues until all pics have been chosen and guessed. You’ll be cracking up at this fun spin on an old favourite! Get a pack of mad libs and your instax. With your mates, go round taking pics of random objects and people you know. Then, fill out the mad libs using your photos instead of words. Try not to burst with laughter as you read them aloud, and be sure to show the visuals for extra fun. There are so many ways to get creative with your instax film. We’ve got more ideas for DIY projects you can do at home in our Ultimate Decorator’s Guide. Get your copy for free today!